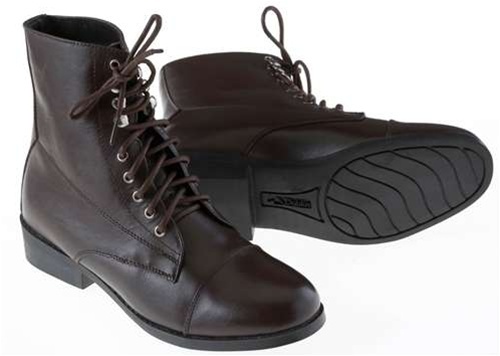 Paddock boots made from durable full grain leather. TPR (Thermo Plastic Resin) Sole provides maximum durability; and TPR outsole offers high impact absorption. Wickable lining is moisture absorbing and comfortable. A GREAT boot for a GREAT price!